Covered in diamond particles. Anti cam-out. Ideal for screwing into hard materials. 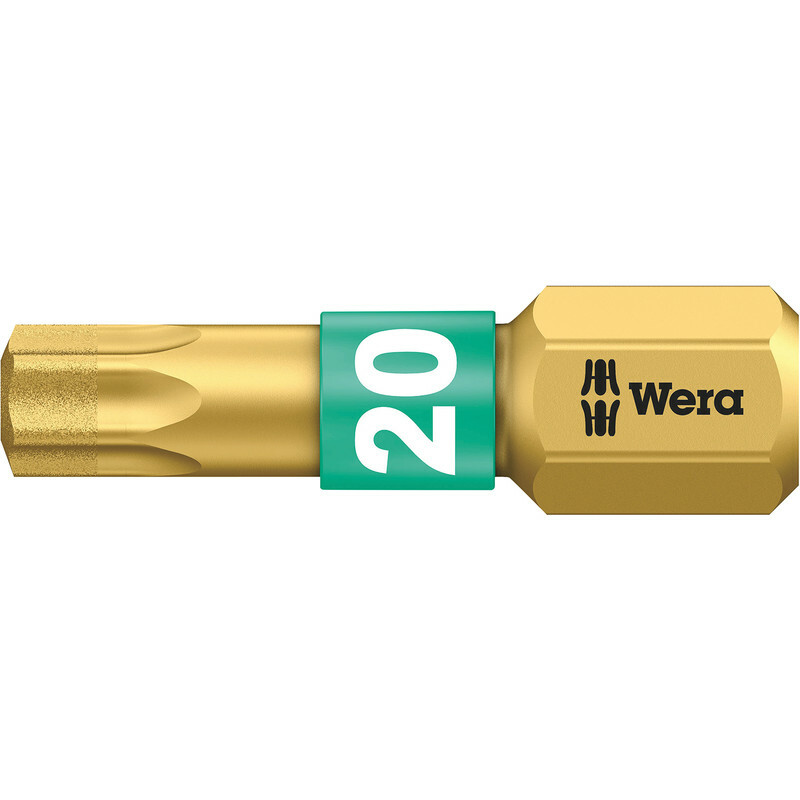 Wera Diamond Bi-Torsion Screwdriver Bit TX20 x 25mm is rated 4.5 out of 5 by 15. Rated 5 out of 5 by Windy from Bit I have been using bits like this for some time, I hope it performs like the others! Rated 5 out of 5 by Alun1955 from Good quality Got me out of a pickle taking Air Ram apart. Rated 2 out of 5 by clive_p from disapointed Spent more than normal on the diamond bit. Doesn't seem any more durable than normal. Rated 5 out of 5 by Squeak from Good Product... It has had some 'bashing' ... and is still in almost perfect condition... Ideal 'tiny' Christmas present for anyone who has a cordless drill... put it in a cracker? ... a mixed set and an assortment of screws is a useful present for a DIYer ... ask the staff. TIP ... I use a some electrical tape around the magnetic holder and the bit to stop it falling out. Rated 5 out of 5 by markh2501 from torx bits Great. I keep losing or giving them away. Rated 5 out of 5 by Catfordjohn from Looks great It done the job in the power driver and it looks the part as well. What more could a fella' want?